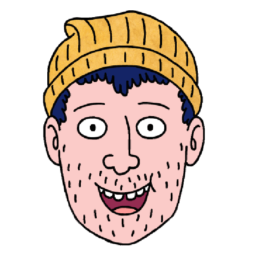 BoJack Horseman is a hit Netflix animated television show about a humanoid horse, BoJack Horseman — lost in a sea of self-loathing and booze — and his decision that it’s time for a comeback. 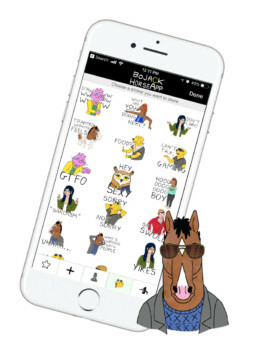 To celebrate their new season, we put together a special BoJack HorseApp to bring messaging stickers directly to the phones of the show’s biggest fans! 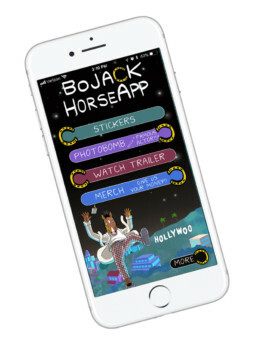 A variety of sticker packs were created for the app: a set of emojis, stickers with famous quotes from the show, well known props for photo editing and much more! 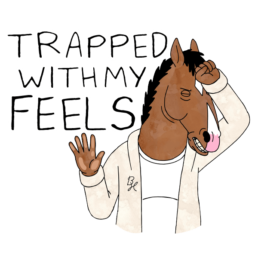 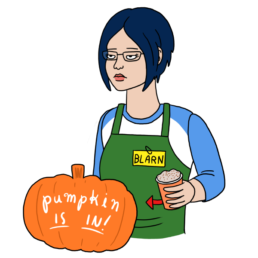 Photo editing has never been more fun with BoJack Horseman stickers! 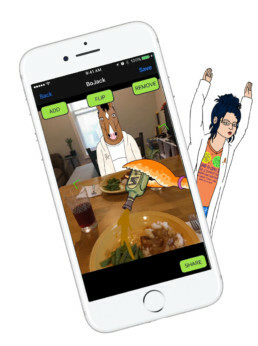 We created a variety of sticker packs especially for photo editing. 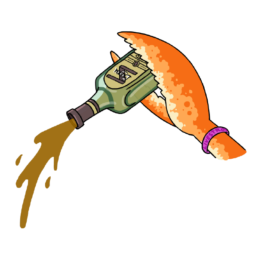 From characters to cereal to flasks, there’s a sticker for every occasion.